Peabody's $5bn coal takeover planned in 24 hours? Hey, I know, let's spend $5bn! JULIA Gillard has seized on a $4.7 billion coal takeover bid as proof of the industry’s ongoing viability as it emerged Tony Abbott repeatedly questioned the purchasing company’s prospects under a carbon tax. Shrugging off record low opinion polls this morning, the Prime Minister said the takeover of Queensland-based Macarthur Coal by US-owned Peabody Energy was an endorsement of her climate change plan. “We are seeing the biggest takeover bid in Australian history for a coal company, ” she told ABC radio. Are you seriously suggesting that a five BILLION dollar takeover proposal was conceived and executed in the 24 hours since your carbon tax announcement? That a business about to make such a massive investment just “did it on a whim” after seeing you on the telly on Sunday night? You’re a lawyer, Julia. You know how these things work. It would have taken months of planning, research and due diligence before this announcement was made. And there’s plenty of that still to be done before the deal is signed. This would have been in the pipeline for ages, and Julia’s announcement had nothing to do with it whatsoever. And Peabody has had its eye on Macarthur for ages, see here from 2010. Delusional and desperate (and the media reported it all without any critical thought, as per usual). Senator Joyce said he was fascinated to know how Senator Brown proposed to keep the national economy running without revenue from coal exports. ”We need the money to pay for hospitals, roads, schools, the Pharmaceutical Benefits Scheme so pensioners can get discounted medicine, and social security,” Senator Joyce said. ”Bob obviously has a magical new way to do it and I am fascinated to know how it works. 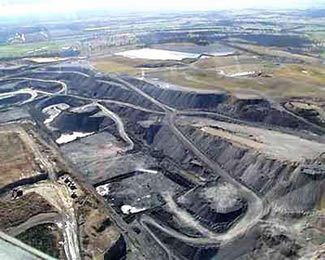 Opposition Leader Tony Abbott said he believed the carbon tax would destroy the coal industry. Coal industry talks on carbon tax end in "deadlock"
Should we have expected anything else? The carbon tax is a direct attack on the coal industry, and no amount of “compensation” will change that. The government is sinking yet further into the mire. TALKS between the coal industry and the government have ended in deadlock, with key coal representatives telling the government they cannot accept the industry compensation package on the table and Climate Change Minister Greg Combet sticking to his position. In the meeting in Canberra yesterday, the coal industry argued for a phased-in approach to the auctioning of emissions permits and the staged inclusion of so-called fugitive emissions (the release of greenhouse gasses during the mining process). How many of Australia’s key industry sectors does this government intend to alienate in its attempts to appease Bob Brown, I wonder? Gillard "faces backlash on clean power"
THE government’s push to mandate clean power stations could backfire as electricity generators threaten to delay upgrades to dirty coal-fired plants. 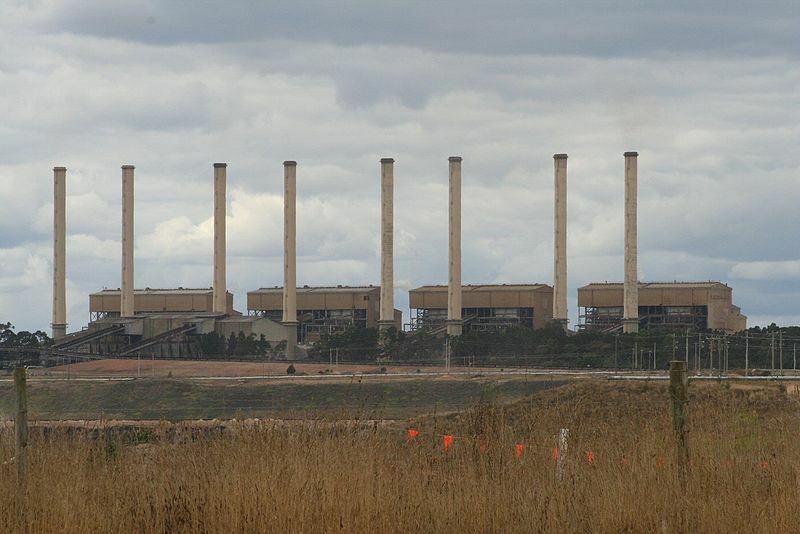 In a submission to the government obtained by The Australian, the power generators say tough new carbon pollution standards could apply to expansions to old power stations. This is despite Julia Gillard’s vow during this year’s federal election that the standards would not apply to existing projects and were aimed at ensuring a dirty power station was never again built in Australia. The electricity generators have joined Australia’s big miners and banks in warning that the government is raising sovereign risk concerns that could spook investors. “Owners could be deterred from improving the performance of existing plant if an expansion could trigger new and costly regulatory requirements,” the National Generators Forum states in the submission. The forum – whose members produce 95 per cent of Australia’s electricity – warns that the plan for cleaner power stations repeats mistakes made in the US, where a crackdown on emissions from new power stations has deterred investors from building them and led to greater use of coal-fired plants that are, on average, 44 years old. They also complain that the plan is based on technologies that are highly uncertain and say it is probably doomed to fail in Western Australia. The backlash from the generators adds to the government’s woes over its handling of climate change policy. The government wants to put a price on carbon next year and has maintained this is a crucial economic reform to encourage cuts to pollution and provide greater certainty for business investment. A multi-party climate change committee is expected to make recommendations on a carbon price by the end of next year. But the National Generators Forum warns that policies such as an emissions standard for coal generators are redundant when the government has promised to a carbon price. The group says it is “alarmed by the proliferation of ad hoc policies, at all levels of government, which distort otherwise efficient electricity markets for what are often ill-defined or marginal environmental aims”. Let’s be clear about this. We all want to see power stations emit less pollution, and by that I mean real pollution, such as particulates and toxins, but situations such as the above are all driven by the “global warming” dogma of reducing harmless carbon dioxide. And whereas the former would be governed by market forces and rational cost/benefit analysis, the latter is governed by fairytale green ideology – with predictable results. Madness: BHP boss "wants price on carbon"
In his nauseating obsequiousness, figuratively flagellating himself and his company for their carbon sins, Kloppers ‘confessed’ how Australia had one of the highest emissions of carbon dioxide per capita in the world. Again, his entire focus was on domestic emissions – principally and most obviously from our almost total reliance on coal-fired electricity. These had to be cut – to stress again, unilaterally and Rudd-like, irrespective of whether or not the rest of the world followed or when. Accompanied by this throwaway line: that a major consideration was that our “export-based economy is intrinsically carbon intensive”. Doh. Young Mr Kloppers clearly doesn’t understand the fatal contradiction. Once you accept that producing carbon dioxide is a secular – indeed the greatest secular – sin, the sinning doesn’t stop at the border. We accept by whatever process a mandatory reduction in our production of domestic carbon dioxide, exactly the same demand will be applied to carbon dioxide being shipped out embedded in resources. Now none of this is actually about ‘climate change’ – whether the so-called science or the religion. It is about self-interest and the most basic common sense. Our economy and our present and future prosperity – even our more basic viability as a society – is based totally on producing carbon dioxide. Both in generating almost all our electricity and earning the majority of our export income. The so-called science demands we cut our output by 80 per cent. So if Kloppers “accepts” the science, he accepts that sort of reduction over the next couple of decades. He accepts the long-term suicide of BHPB – a strange position for a a CEO paid a multi-million dollar salary. To what purpose? This is where the common sense kicks in. We can cut our emissions by 100 per cent; we can stop all our exports of coal and iron ore, completely, and we will make not the slightest difference to the climate. Taking the ‘science’ not the religion as gospel. Yes, let us have a price on carbon. Zero. That’s the certainty that Australia – and BHPB – really need. UPDATE: Who does the ABC get to comment on this story on News Radio this morning? A sceptic perhaps, to put the other side of the climate change issue? A mining expert perhaps, who would expose the hypocrisy? 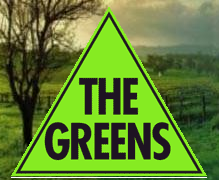 No – Chrisine Milne, Greens Senator – who was uncritically asked candy-floss questions which allowed her to spout the usual Green climate nonsense, and support Kloppers’ position 100%, as you would expect. There’s quality journalism for you.